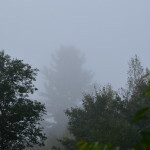 While we have been blessed with summer sticking around well into September that has meant that we have some fog every morning. This has created some absolutely amazing sunrises. I see them really well along the ridge that I drive as I head to work. 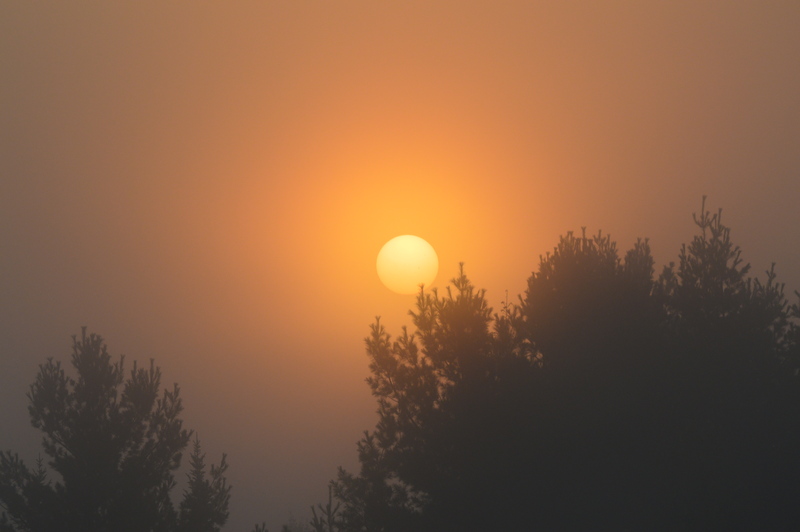 Today the fog was extra thick but the sunrise was still wonderful. Fall is just a few days away and it is finally beginning to feel that way. Some of the trees are just beginning to tinge with color but I don't expect that full on color will be here until October. Today I am beginning my greenhouse project. I got a really good deal on a small 8 X 6 greenhouse kit earlier in the summer but just have not had any time to get it put together. It will take a bit of doing because where I want to put it is on a slope. I have landscape timbers to build a level base for it to sit on but getting the slope dug out is going to be a job. I won't be able to use the tractor because it is inside the fence surrounding the front yard so hand tools it is. I'll try to take pictures along the way so you can see how things went. My hope is to get some greens planted so we can enjoy them well into the fall/early winter. I want to try spinach, chard and kale which should do well in the cooler temperatures. 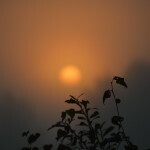 Enjoy these other pictures of this foggy morning.